The Telfer School of Management welcomed over 70 health professionals, business leaders, civil servants and students on Wednesday, November 23 for an event organized by the Telfer Health Transformation Exchange (THTex) featuring Dr. Alain Mouttham from the Institut de Recherche de l’Hôpital Monfort. 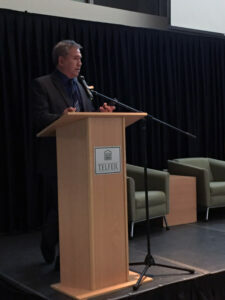 Dr. Mouttham’s presentation, entitled Transforming our Hospitals: Clinician-driven Operations Management highlighted the fact that Canadian hospitals have to become patient-centered and value-based and this transformation is possible by using a clinical operations management (COM) model. The COM model that is driven by clinicians goes beyond administration and IT led projects and looks at the processes from value-added and efficiency perspectives. During his presentation, Dr. Mouttham stated ‘‘I believe that it is possible to have nurses and clinicians to drive the transformation of hospitals, and it is starting’’ and this is why the proposed COM model responds to the specific needs of the hospitals in terms of processes, organization and information. During the talk different ideas were presented for a hospital transformation ecosystem that should bring together hospitals, universities, non-profit start-ups and public agencies, forming incubators for hospital transformation. 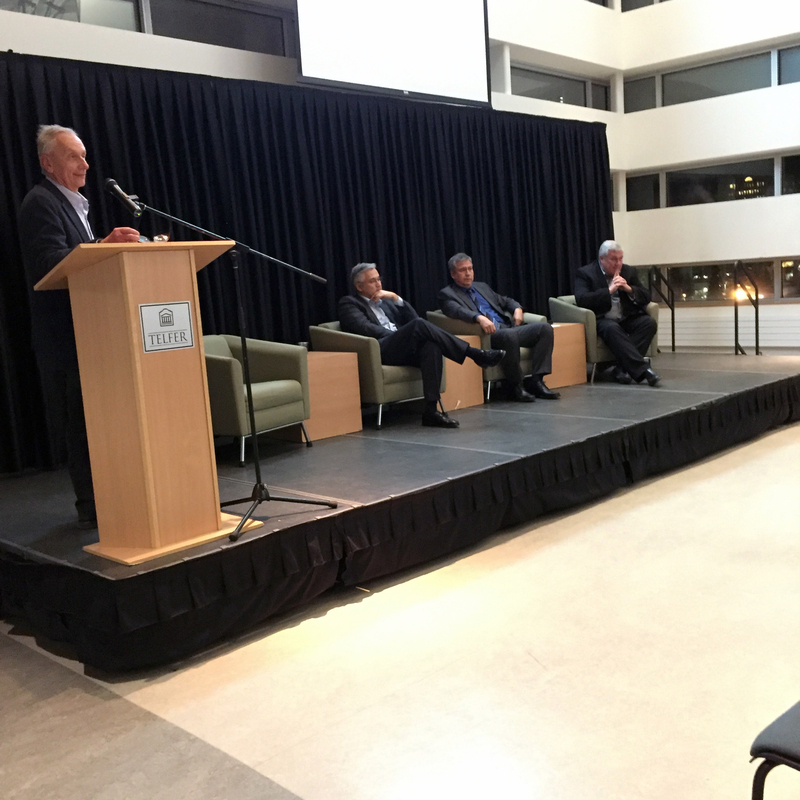 The presentation was followed by a panel discussion. 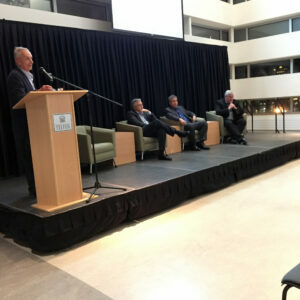 Serving on the panel was Dr. Alain Mouttham, Dr. Michael Fung-Kee-Fung, Professor at the Departments of Obstetrics/ Gynecology and Surgery at the University of Ottawa and Head of Surgical Oncology at the Ottawa Regional Cancer Program and the Ottawa Hospital, and Dr. Andrew Falconer, Chief of Staff at the Queensway Carleton Hospital. The panelists pres ented their views and experiences around a broad issue of hospital transformation and development of value-based care delivery model and the audience engaged in a series of questions centered on engagement, role of clinicians in hospital transformation, and the impact a single payer system has on fostering healthcare innovation. Click here for the PDF of the slideshow.